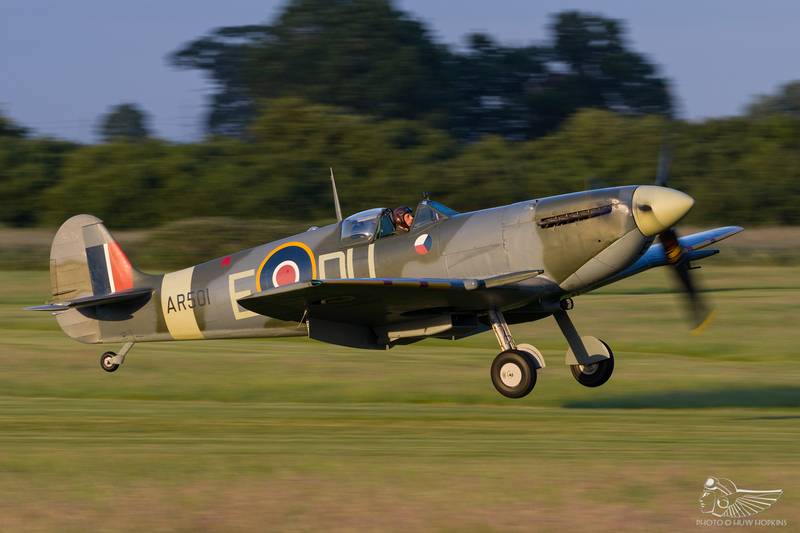 Sometimes taking a chance on a show with a somewhat unsettled weather forecast pays off, and that was certainly the case with the Shuttleworth Collection’s June Evening Airshow. 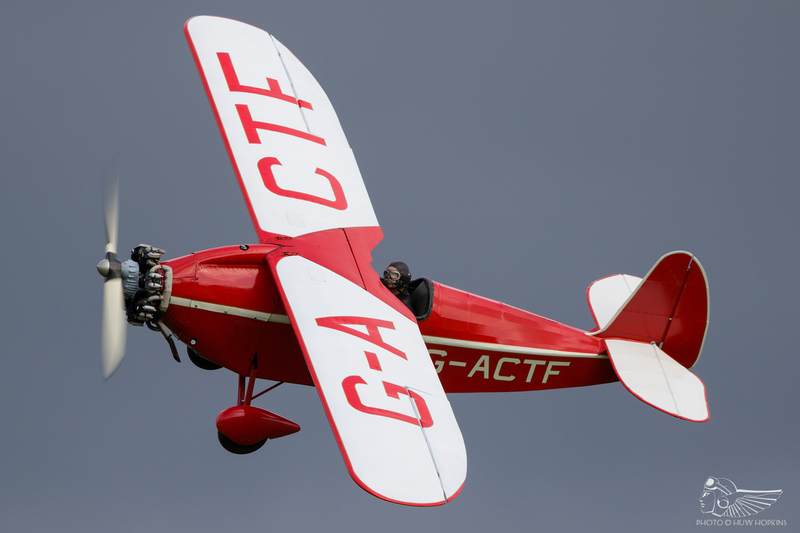 Gusty winds didn’t stop the Collection delivering a dose of the Old Warden magic. 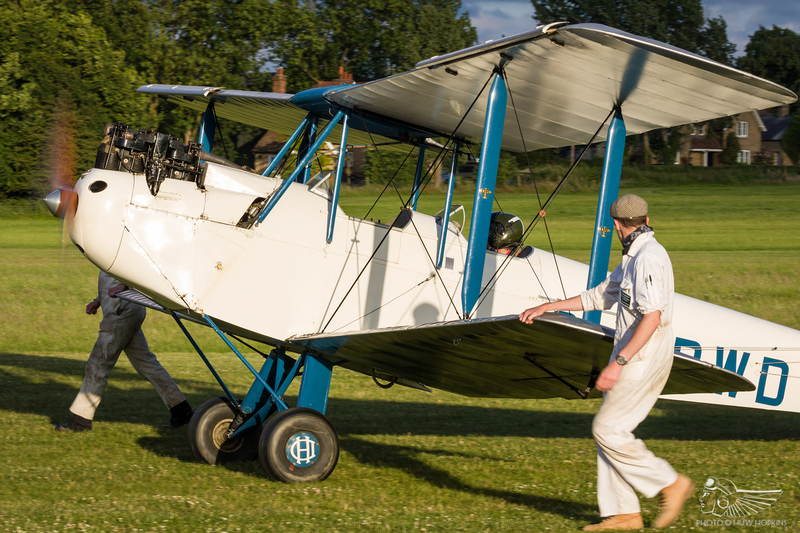 Shuttleworth enjoyed an almost unbelievable run of good weather for the first three shows of the year with clear skies, warm temperatures and light winds that allowed the Edwardians to get aloft at three consecutive shows for the first time in a decade or so. Checking the Met Office forecasts in the run up to the June Evening Airshow it looked as if that luck may have run out, with intermittent sunny breaks, the odd shower and stronger winds predicted. 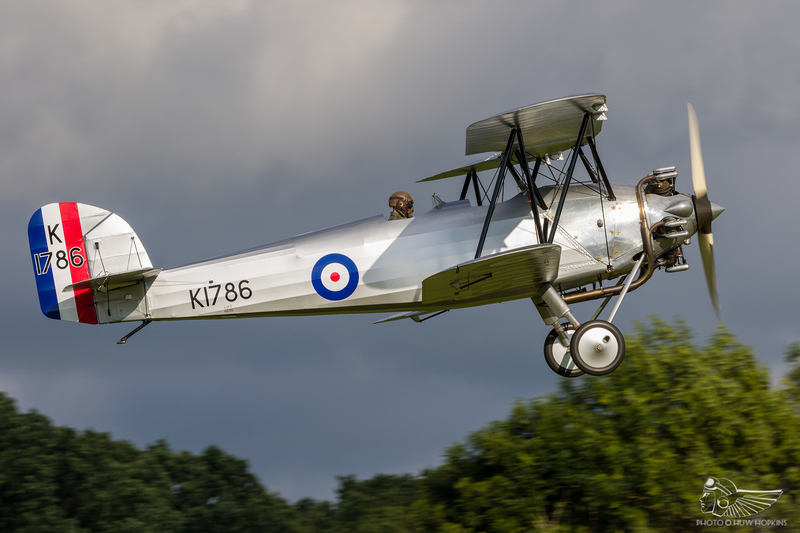 Things weren’t looking too good mid-afternoon, but a trip to Old Warden is always a pleasant experience regardless of the weather, with plenty to see on the ground and the promise of time spent with good friends. As an SVAS member, the entry fee is reduced to a very reasonable £13. 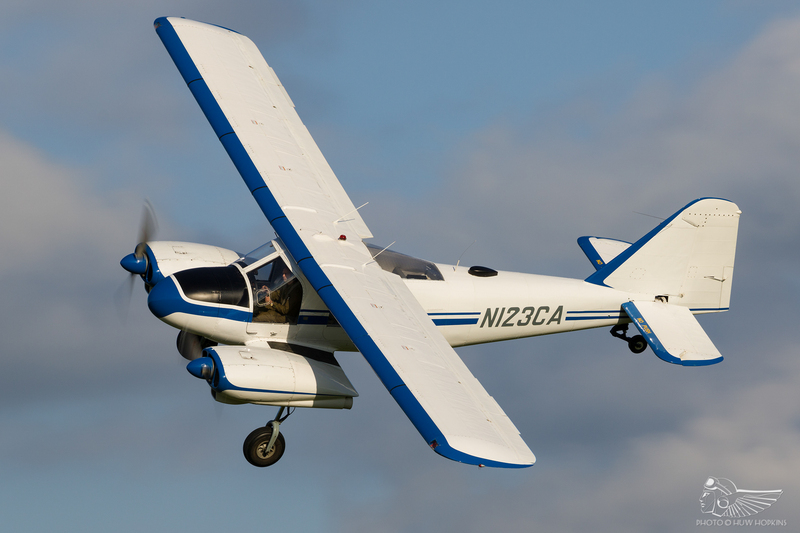 On one hand it was a shame that the winds precluded some of the lighter types from taking to the air, however the breeze also meant that any cloud cover was blown through quickly and as a result we enjoyed many long spells of evening sunshine. Had the winds been lighter, a dull grey overcast would likely have lingered. 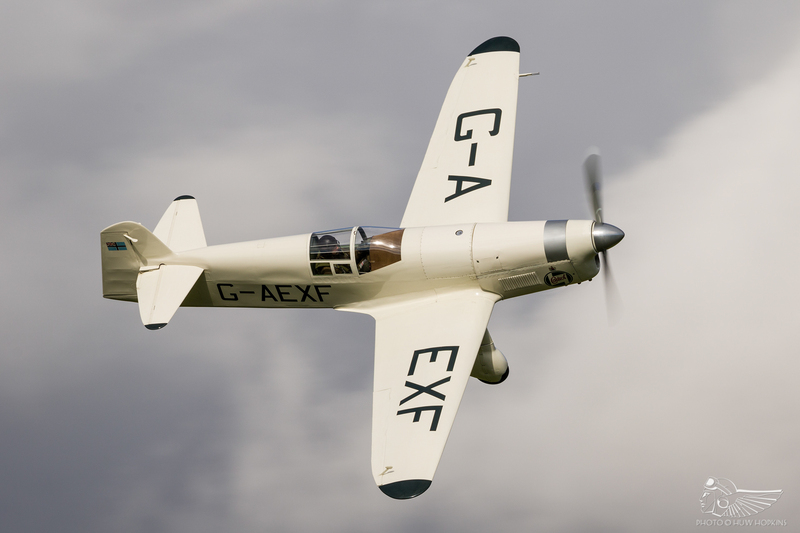 The early part of the flying display included several racers, with Mark Sharp flying some excellent topsides in the Comper Swift in what was a very spirited display for the type. Following the impressive sight of the Fauvel glider using the breeze to its advantage to hang in the sky during its aerobatic routine, the Comet and Mew Gull ran into display as a pair. Jean Munn really impressed in the Mew, demonstrating the diminutive type’s speed with a series of low and fast passes.  He later flew a Dornier Do-28, a very rare airshow performer, with similar verve. Despite the windy conditions a selection of the slightly lighter types got airborne for a four-ship display. 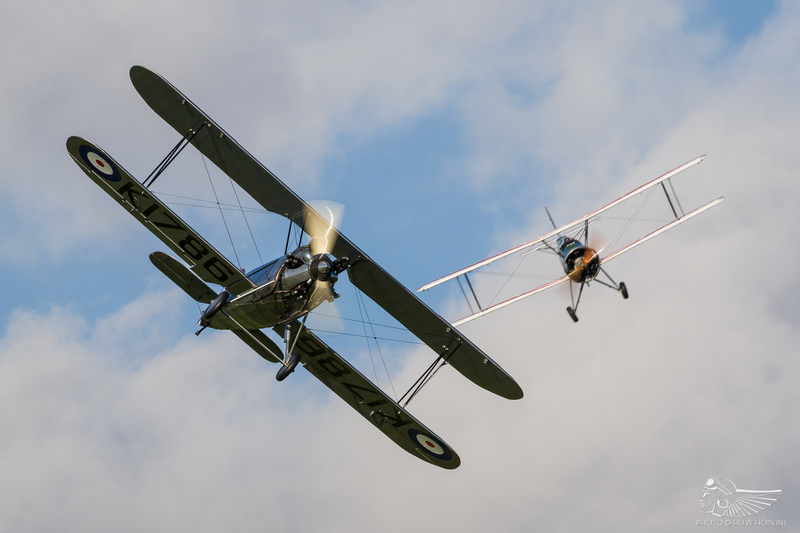 The Po-2, Desoutter, DH.60 and Tiger Moth provided one of those “only at Shuttleworth” groupings. Hawkers Tomtit and Tutor also displayed together, glimmering in the evening sun. 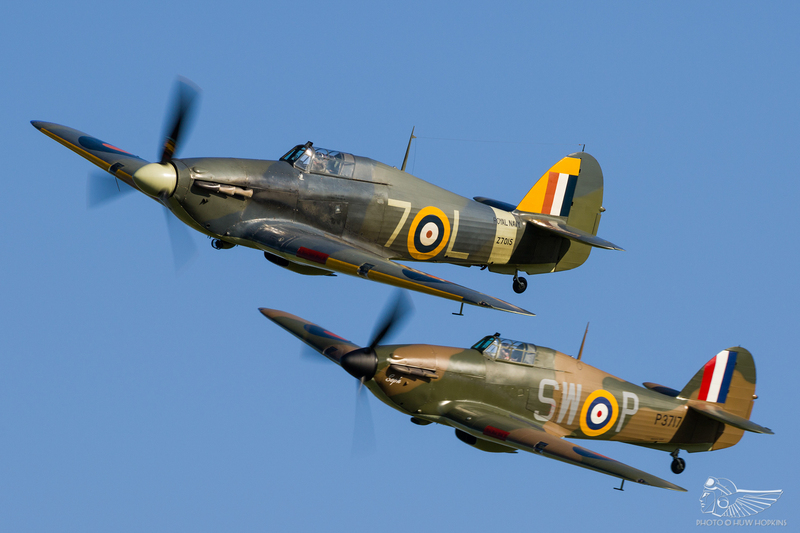 In recent years we’ve been treated to numerous multiple Hurricane sequences, including several three-ships, but the duo fielded at this evening airshow may just take the mantle for the finest of them all. 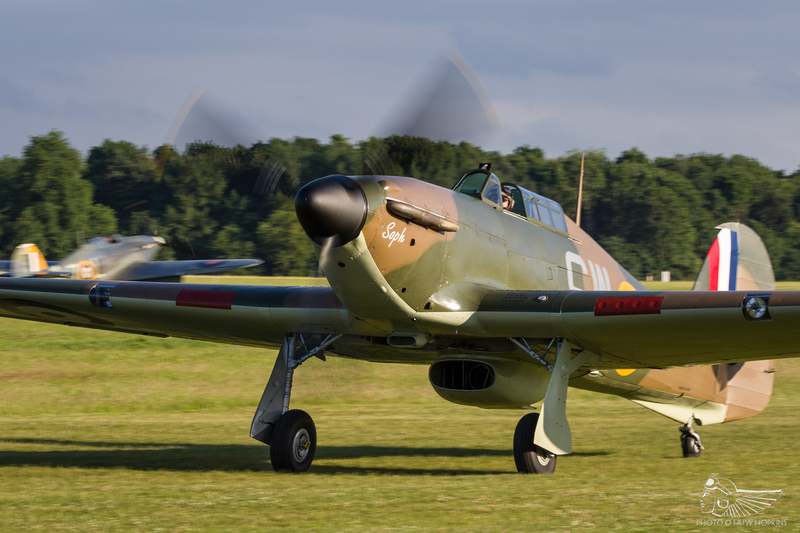 20 minutes of pure Hurricane heaven were enjoyed, the Shuttleworth Collection’s Sea Hurricane and Hugh Taylor’s Hurricane P3717 bathed in evening light with the pair displaying simultaneously for considerably longer than we’ve seen in the past. 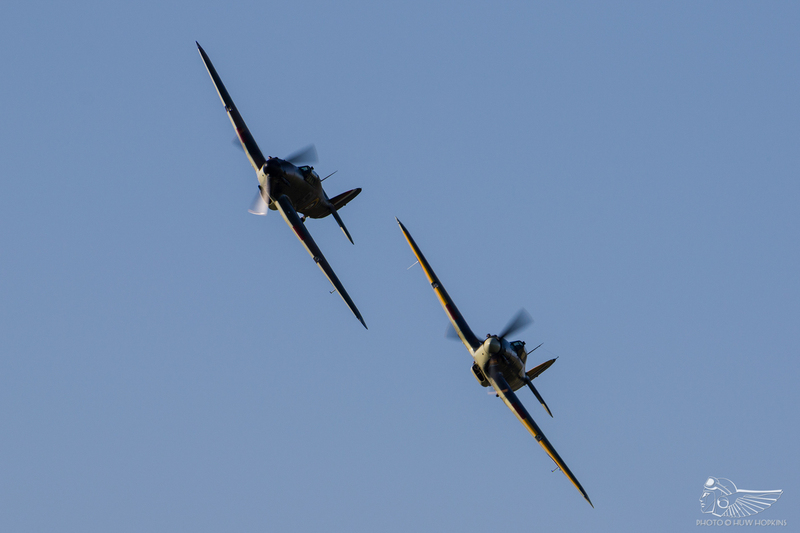 Paul Stone and Stu Goldspink have flown Hurricanes together now several times and they have this type of entwined, choreographed display honed to perfection. 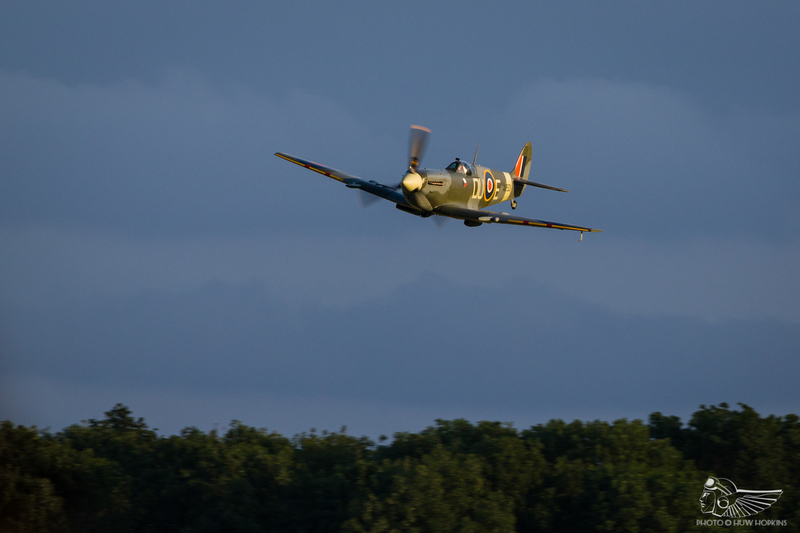 As Stone departed to the west to cool the Sea Hurricane’s early Merlin III before landing, Stu carried on with a lovely solo display. I hope he was enjoying himself up there just as much as we were enjoying watching him. 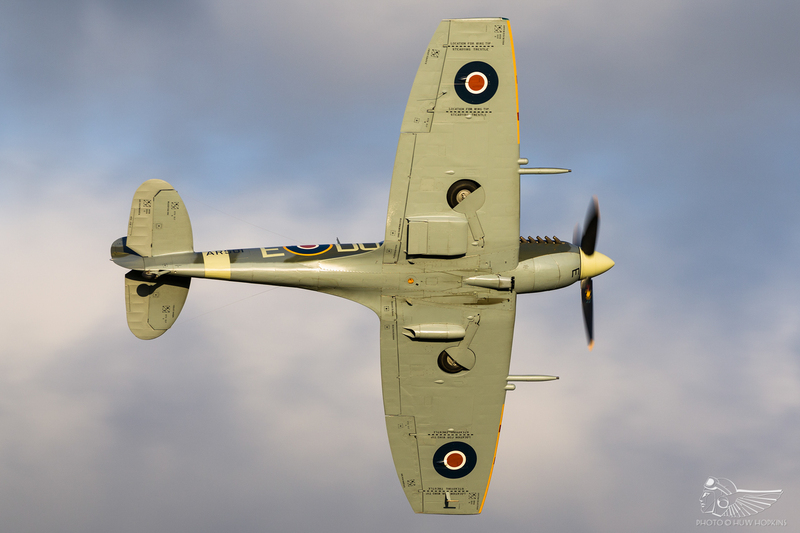 Visiting for three fly-bys was the Battle of Britain Memorial Flight’s Spitfire Mk.IX MK356, making good use of the Old Warden ‘bend’ with some tremendous close topside passes. 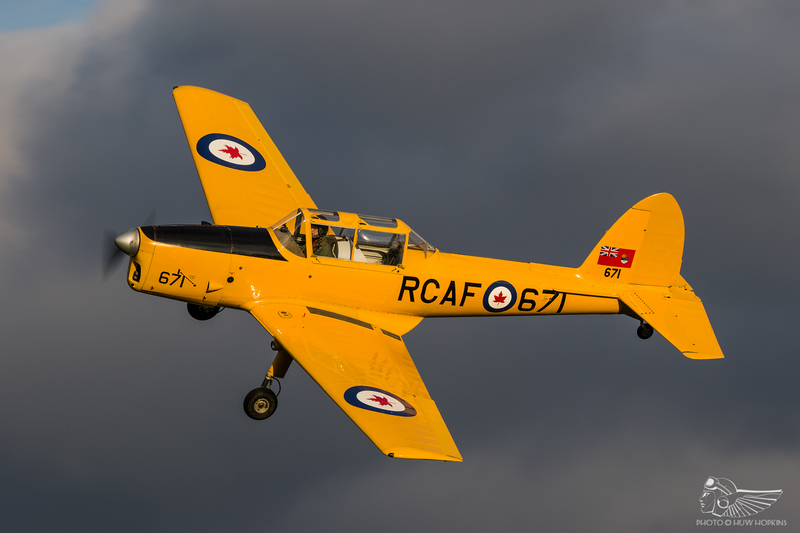 One interesting twist on a familiar airshow act came courtesy of the Collection’s Chipmunk, with Bob Morcom providing a basic “how an aeroplane flies” display with pilot Mark Sharp taking to the commentary box to explain the different manoeuvres – some exaggerated illustrations of the aileron, elevator and rudder input made up the sequence, demonstrating the purpose and effect of each control input. 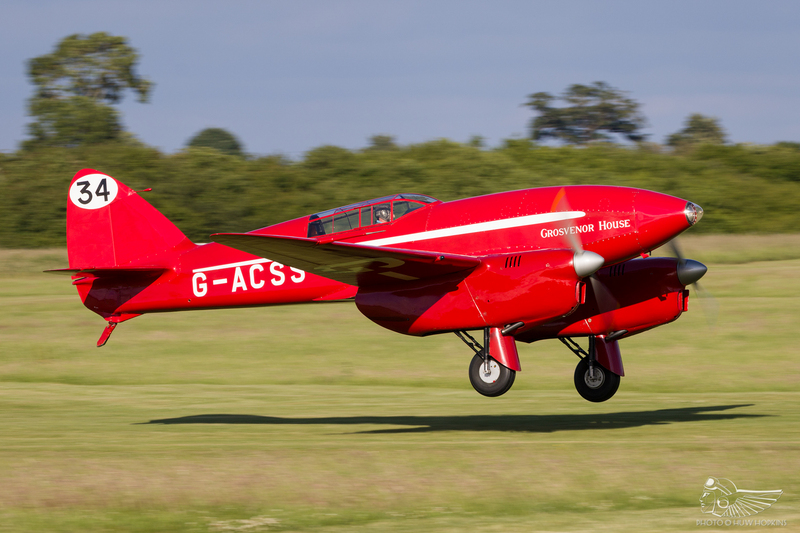 This is the kind of grass roots element that Shuttleworth excels at, and that in broader terms is key for the longevity of the vintage aviation scene. 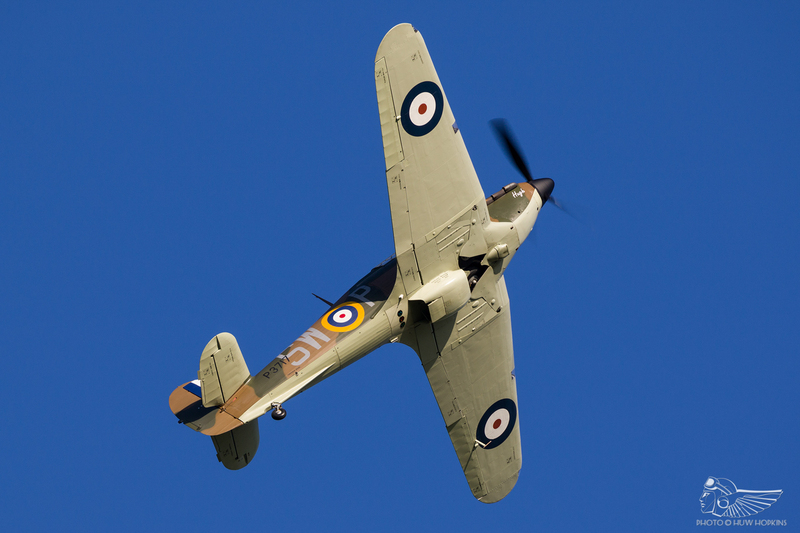 Giving the general public a better understanding of what they are watching may incite a deeper appreciation of air display flying. 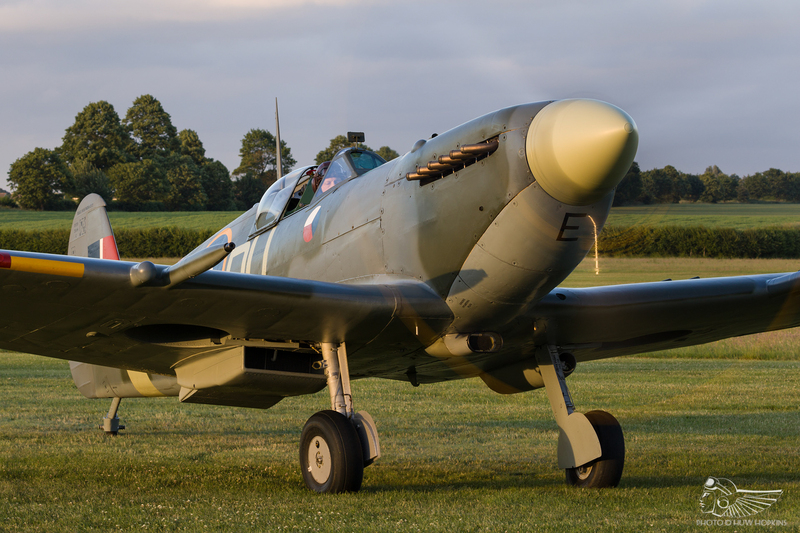 With the Edwardians remaining safely in their hangar, it fell to the Collection’s recently returned Spitfire Mk.Vc AR501 to close the show. 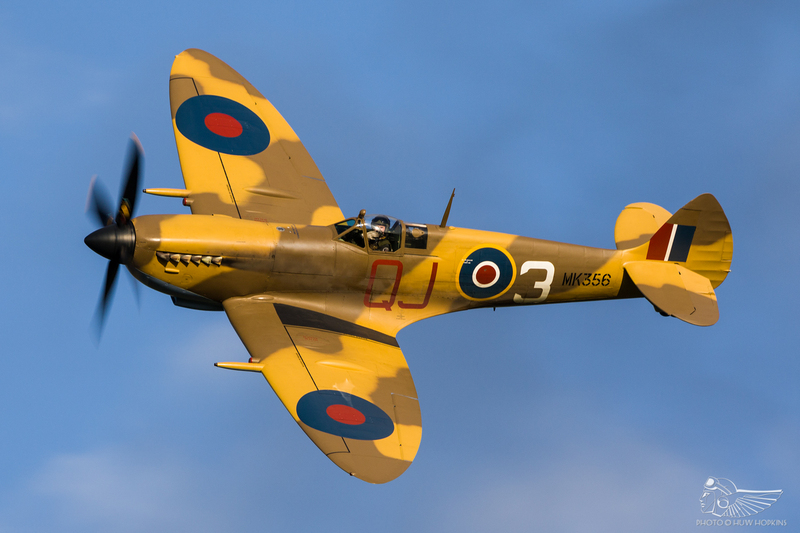 It really feels like we are seeing one of those synonymous pilot and aircraft combinations flourish here as Jim Schofield took to the air for his second public display in the clipped wing Spitfire. 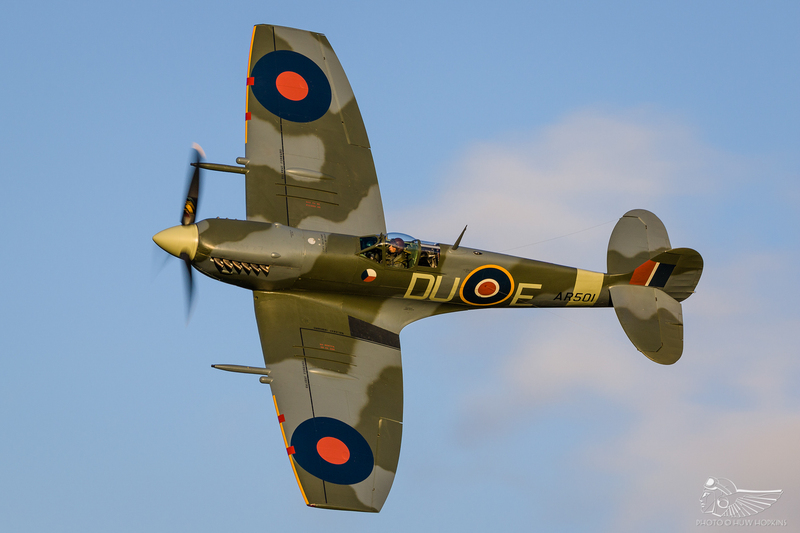 This was a step up even from his very enjoyable display at Fly Navy, really demonstrating the roll rate that the clipped wings afford with a very punchy display – with the snarl of the Merlin 45 and the airframe catching some glowing late sun, this was the perfect end to an enjoyable evening’s flying. 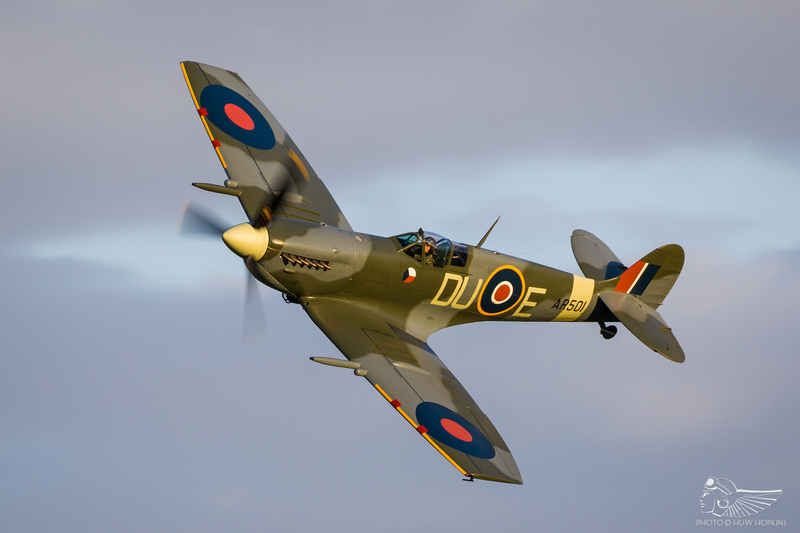 Jim gave the Spit a little worshipping bow after disembarking the aircraft after his flight, showing his admiration for what is often billed as one of the sweetest marks of Spitfire. 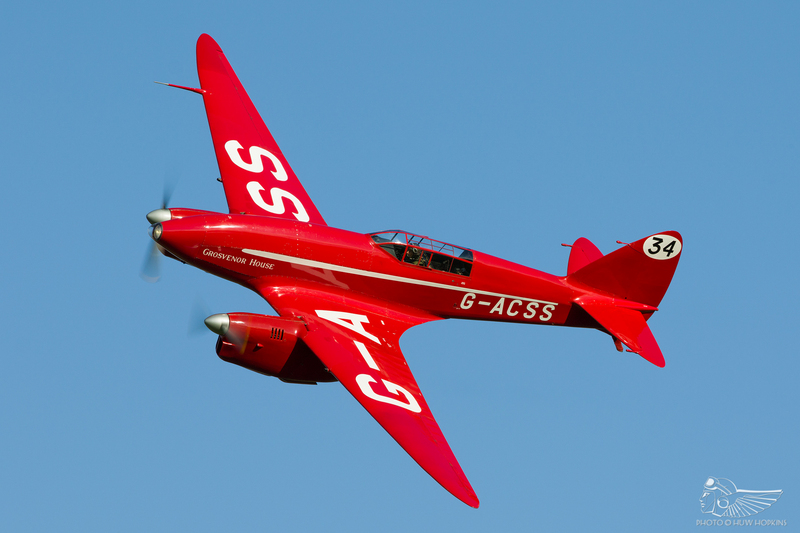 Driving home down the A1 with a crimson sunset reflected in all three of my rear view mirrors, I mulled over the number of times I have overlooked a poor forecast, gambled on an evening airshow at Shuttleworth and been rewarded with a beautiful afternoon’s flying. Sometimes, you just have to roll the dice.